Questa treccia con all'interno quei petali è romanticissima! Buon week end Lilli! 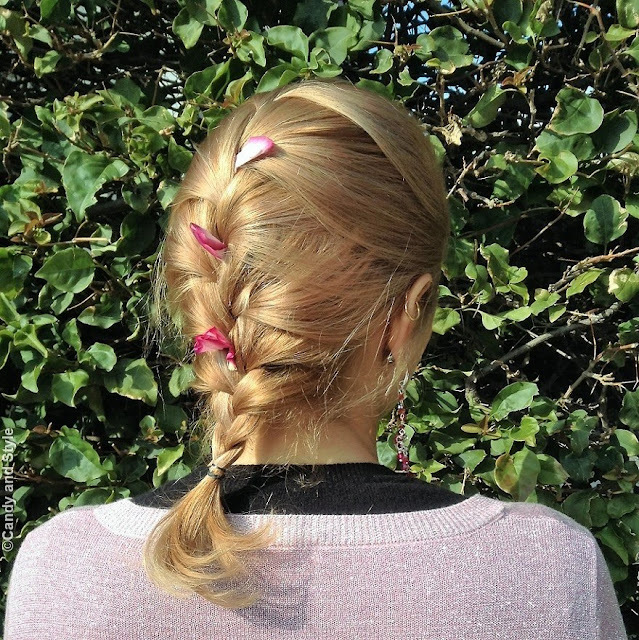 These pretty petals are such a lovely accent to your french braid Lilli! I'm getting that spring vibe from your hair and makeup! Can you tell I can't wait for the season to arrive ;p Happy weekend! That’s so sweet Lilli. Decorating the hair with flowers is so pretty and feminine. your braid looks too cute! Your red pants are so eye catching! very nice outfit! Beautyful hairstyle dear Lilli. i like the flowers in your hair. 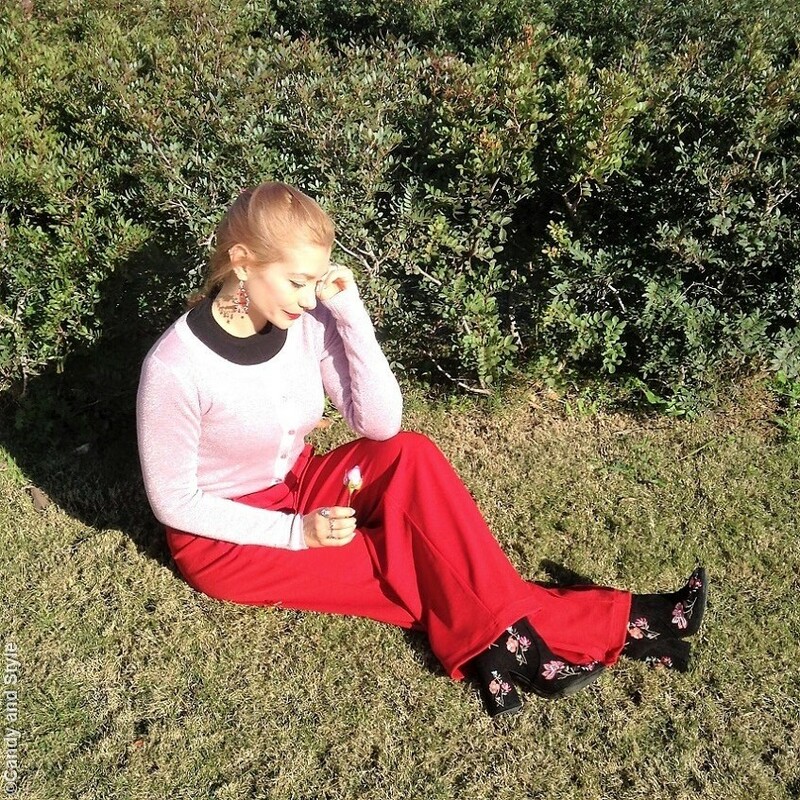 Also love the flowers at your booties. Pretty nice style again. 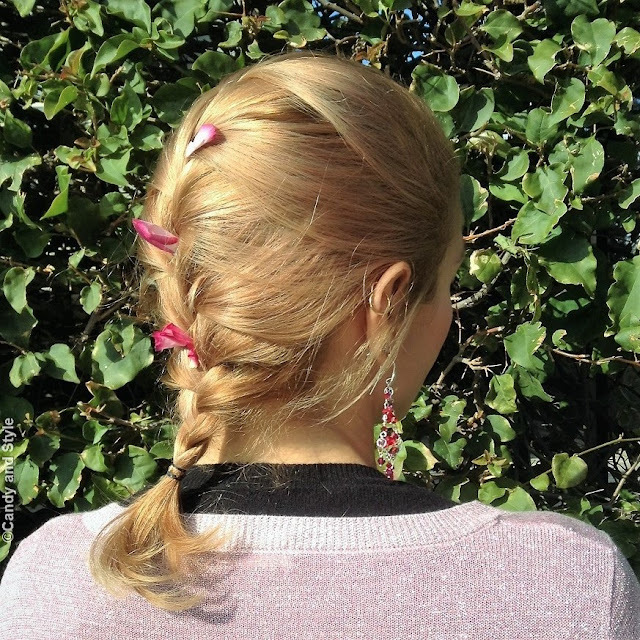 Oh wow, did you add rose petals to your braid! Very cool, this came out great! The French braid is a hairstyle that I liked since school, but I need someone to do it on my own I can not, I love your booties! Kisses Lilli. And your hair has such a cute color!